Peru is full of ancient ruins. We invite you to come and discover the ancient ruins of the Inca civilization in Machu Picchu, the Sacred Valley and Cusco. See Lake Titicaca, Cusco & Machu Picchu in our 6-day vacation package that includes visits to the Uros Floating Islands, Taquile Island, Sacsayhuaman Archeological Park, Colonial Cusco, and the Machu Picchu Citadel. Visit Cusco, Sacred Valley & Machu Picchu in our 5-day vacation package with overnights in Cusco, the Sacred Valley of the Incas and Machu Picchu and includes visits to the Sacsayhuaman Archeological Park, Colonial Cusco, and the Machu Picchu Citadel. 8-Day Enjoy this Trek of the Inca Trail across the high Andes, through mountain passes & valleys. Discover ancient Inca Complexes and other archaeological sites along your trek to Machu Picchu. This 12-day vacation package, The Wonders of Peru, is an adventure of a lifetime as it allows you to discover Machu Picchu, the Colca Canyon, Lake Titicaca, Cusco, and the Sacred Valley of the Incas. With our Peru Quick Look Around 6-days’ vacation package, our guests will visit Lima, Cusco, the Sacred Valley and Machu Picchu. 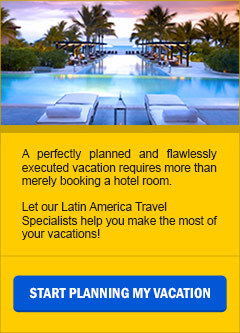 It is ideal for travelers with a few vacation days, or as a pre or post cruise excursion. Enjoy your Peru Holiday further while partaking on the Adventure of your choice in Urubamba; Zip Line and Climb Pachar Mountain, or Ride an ATV through the mystical Andean countryside; or ride a Peruvian Paso horse to the local communities of Pumahuanaca and Palcaraqui. This 8-Day fully customizable Peru Ancient Civilizations vacation package includes the Nazca Lines, the Galapagos-like Ballestas Islands, Machu Picchu, and Cusco. It is the best vacation deal to learn about the great Peru Ancient Civilizations brought to you by EcoAmerica Tours. You will tour Lima, Cusco, the Sacred Valley of the Incas, and Machu Picchu in 8-Day; horseback ride to the Temple of the Moon in Cusco, view the Inca Trail to Machu Picchu and ride the rapids of the Urubamba River in the Sacred Valley. With our Machu Picchu Vacation Package Hot Deal you will visit the most important attractions and landmarks in Lima, Cusco, and Machu Picchu. View the Sacred Valley during your train trip to the Machu Picchu Citadel. Our Machu Picchu Overnight & Cusco Excursion 4-day vacation package includes visits to the temple of the Sun, the Old temple of the Puma, the Korikancha, the Colonial section of Cusco, and a train ride through the Sacred Valley en-route to the Citadel of Machu Picchu. With our one week Machu Picchu & the Amazon Vacation Package Hot Deal you will visit the most asked for landmarks in Peru; Lima, Cusco, Sacsayhuaman Archeological Park, the Machu Picchu Citadel, and the Peruvian Amazon in Puerto Maldonado. This 8-Day Machu Picchu & the Amazon Expedition vacation package is a customizable experience to the best of Peru’s diverse natural and cultural treasures while exploring Sacsayhuaman, Cusco, Machu Picchu, Lima & the Amazon on a river and land expedition. 8-Day In Search of the Hidden Inca Treasures, allows you to see the glorious sites of Lima, Cusco and Machu Picchu. In the Sacred Valley of the Incas, explore Moray, Maras, Chinchero, and Ollantaytambo. This 7-Days Deluxe Peruvian Adventure Holiday vacation package begins on board the Hiram Bingham Orient Express Luxury Train by Belmond. It features Peru in style, class and comfort as you travel to the Sacred Valley of the Incas, Machu Picchu and Cusco. With Peru Adventure Thrills 8 day vacation package, you will enjoy river rafting in the Urubamba River, ATV & horseback riding in the Sacred Valley and hiking the Inca Trail to visit Machu Picchu. A Quick Cusco & Machu Picchu Exploration 3-day vacation package features the Archeological Park of Sacsayhuaman, the Koricancha, Colonial Cusco, train ride through the Sacred Valley and the Machu Picchu Citadel.